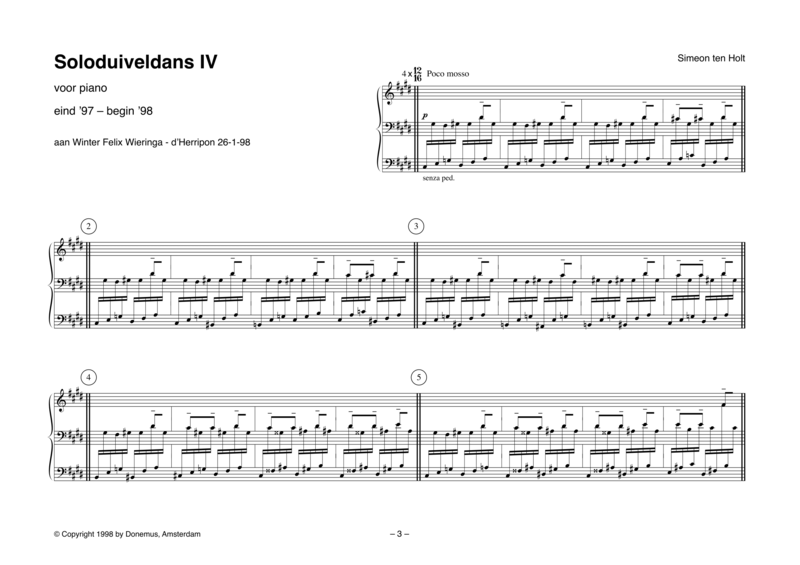 In this composition some sections can be repeated. The musician may decide on the number of repeats, but a short version is advised. The composition does not need further clarification. It speaks for itself. 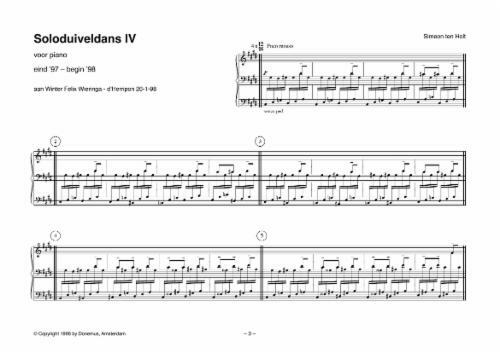 Within the style phenomenon that characterises the Solo Duiveldansen, this composition stands out due to a light toccata touch.